Friends of the Garden was incorporated in 2000 as the 501(c)3 nonprofit organization supporting Nathanael Greene/Close Memorial Park, which is now known as the Springfield Botanical Gardens. 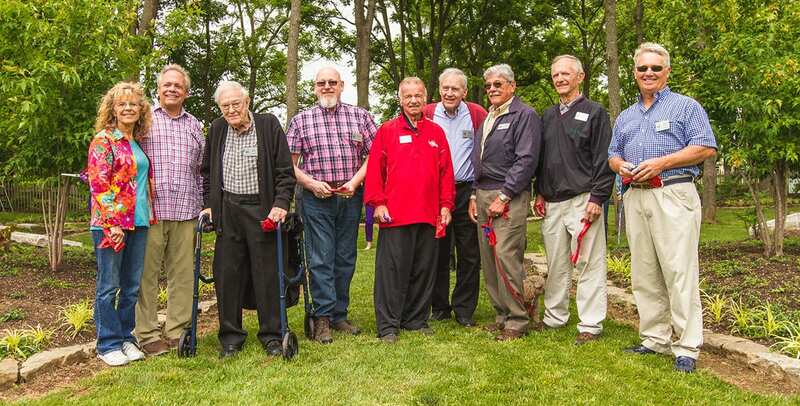 Friends of the Garden inspires the discovery, understanding, and appreciation of nature by creating and maintaining gardens at the Springfield Botanical Gardens and by supporting the mission of the Springfield-Greene County Botanical Center and Park Board. Friends of the Garden unifies the Springfield Botanical Gardens and its Park Partners to bring people, nature, and gardens together. The Springfield-Greene County Park Board strives to provide the very best in parks and recreation facilities, programs, events, and services to our community. In doing so, it will make a positive impact on the overall quality of life, health, environmental, social, and economic aspects for our resident families and visitors alike.